KÖLLEMANN Rotary-Valves have their field of application within the dosing, sealing, feeding and discharging as well as measuring of bulk-solids. We offer a broad range of specialized product-variants for challenging applications. KÖLLEMANN Rotary-valves are used for a broad range of bulk-solids like ashes, coal, cement, sewage-slurry, plastics, crystalline acids, methyl cellulose, carbon black or any other products in dusty or grainy condition. Our product-range provides various options, designs and materials. We offer a standard-product made from cast-iron on which all parameters that are not related to the housing can be adjusted to match your bulk-solids parameters. The lion’s share of our Rotary-Valves is produced as a weld-construction, which is available in all customary materials, we provide plenty of options and extra equipment to perfectly serve all of your requirements and demands which arise from the conditions of your bulk-solid. We further offer high-pressure- and high-temperature- as well as self-cleaning-rotary-valves which can be heated or cooled, depending on the application. As a process-optimized extra-equipment we offer amongst others overfill-protection and leakage-air collectors. 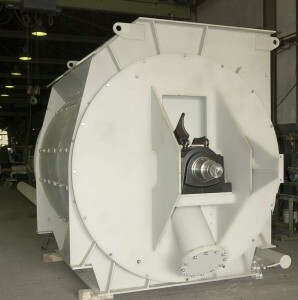 In order to antagonize abrasion as well as premature wear and beyond to minimize the maintenance effort, for many KÖLLEMANN Rotary-Valves it makes perfect sense to install a specifically hardened wear-bush and sealing-strips. As a result of a long-term development, we are able to provide standard Rotary-Valves for cement and rough materials as in welded-design with short delivery times and highest quality for an exceedingly competitive price. Our sizing ranges from 80mm – 2300mm rotor-diameter.